It's hard not to sound a little funny when you're talking about organs. For instance, when I say that Boston is home to some small organs, some beautiful organs, and some enormous organs (like the famous one in Methuen, at left), I know half of you are going to collapse in fits, giggling "Tom Garvey said 'organ'!" over and over. So go right ahead, you churls! Because it's true, it's true. 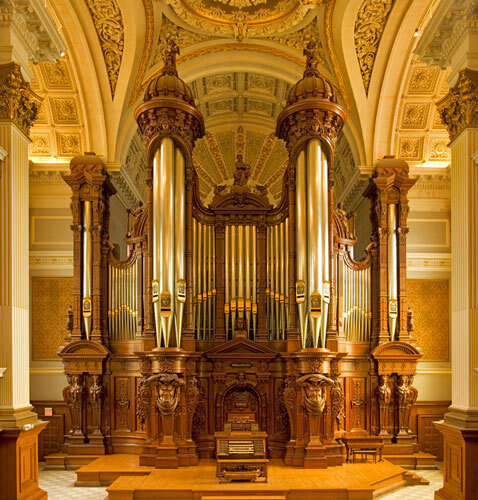 Boston is home to some major organs. And they make some beautiful music, let me tell you!